Business success and targets achievement concept. 图库照片: Business success and targets achievement concept. 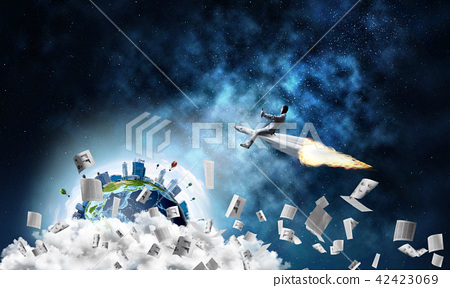 Conceptual image of young businessman in suit flying on rocket among flying papers with planet Earth and open space on background. Elements of this image are furnished by NASA.